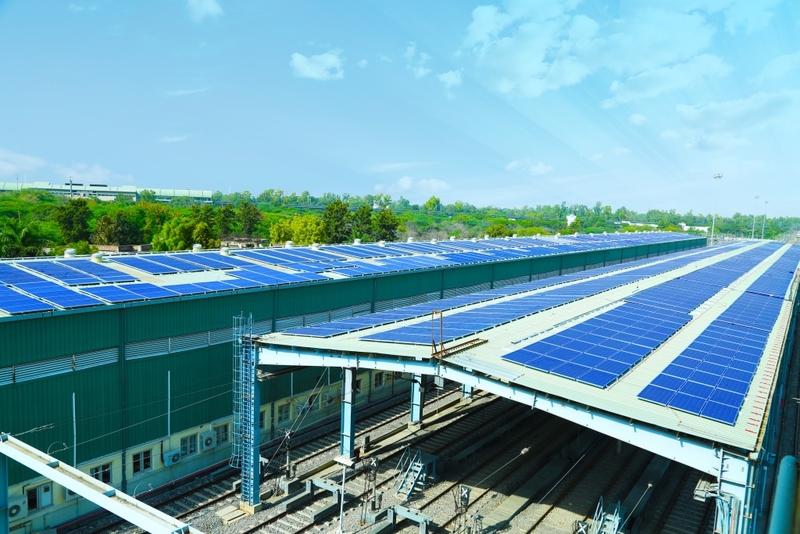 Azure Power (NYSE: AZRE), a leading independent solar power producer in India, announced the successful installation and operation of its rooftop solar power plant for Delhi Metro Rail Corporation (DMRC) at the Sultanpur facility. This is the first phase of a 14 MW allocation by DMRC to Azure Power, one of the largest by DMRC to a solar power developer. The tariff on the project is INR 5.55 per kWh (US$ 0.083), with a total subsidy of INR 167.4 million (US$ 2.514 million). The company will supply power for 25 years which will be utilized for DMRC’s operations. The 14 MW project will be completed in phases and will cover several metro stations, workshops and parking lots. Azure has a portfolio of over 1,000 MW with an excellent record in setting up and operating solar power plants, be it utility scale or commercial rooftop projects. Azure Power has a vast experience in delivering solar power projects, from the construction of India’s first private utility scale solar PV power plant in 2009, implementation of the first MW scale rooftop under the smart city initiative in 2013, to the largest solar plant (100 MW) under India’s National Solar Mission (NSM) policy in Jodhpur, Rajasthan. Azure has a portfolio of 500+ rooftops across 10 states under various stages for its customers, which include the country’s largest commercial real estate developer, and a leading global chain of premium hotels.